coast motorway (N340/E15) exit for Almerimar is just 4 Km away. developed over the last 25 years to facilitate the visitor. fiestas and fairs are the ideal occasions to meet the local people. 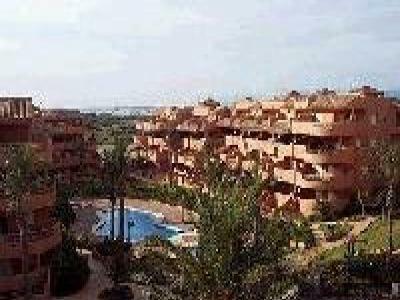 conditions, guarantees an enjoyable stay in Almerimar. Bathroom with bath/shower, wc , bidet. washer/dryer machine, microwave oven, iron/board. chairs, coffee table, Sky TV. Patio area with BBQ and table and chairs. Towels and linen are provided and changed between lettings. The apartment is cleaned before arrival. and car/parking access via automatic gates. room fans, barbecue, pool heating, shared pool. Landscaped tropical gardens with subdued lighting at night. Two large outdoor swimming pools with Jacuzzi and showers. Plenty of sun loungers available. Roquetas de Mar or Aguadulce.